Blood Bowl – More Guts, More Glory! One day last year I was doing my usual daily jaunt through the interwebs, and I came across an announcement for a new Blood Bowl comic book from Titan Comics called Blood Bowl More Guts, More Glory! I was interested, but since I’m not a huge comic book fan, I promptly forgot all about. Then about a week ago, the memory of the announcement randomly popped into my head. I jumped onto Amazon, found that there was now a trade paperback collection of all 4 issues, and promptly made an order. Well, thanks to the Holiday madness, this post is going up about a week later than I originally planned. Life happens… at least it’s finally getting posted. So far we have looked at the new Elven Union team, all the new pitches, and the Team Card Packs. Now we’re going to take a look at the Inaugural Blood Bowl Almanac. 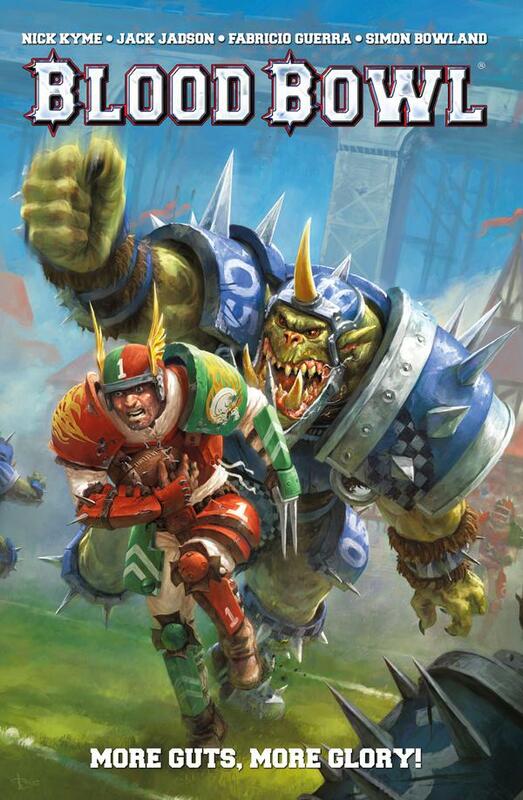 The Almanac is a collection of Blood Bowl rules and information from Death Zone Season One and Two and White Dwarf articles, as well as a few other tidbits. the material may be familiar to anyone who has been keeping up with releases, but the Almanac sure does do a good job of pretty up the presentation. 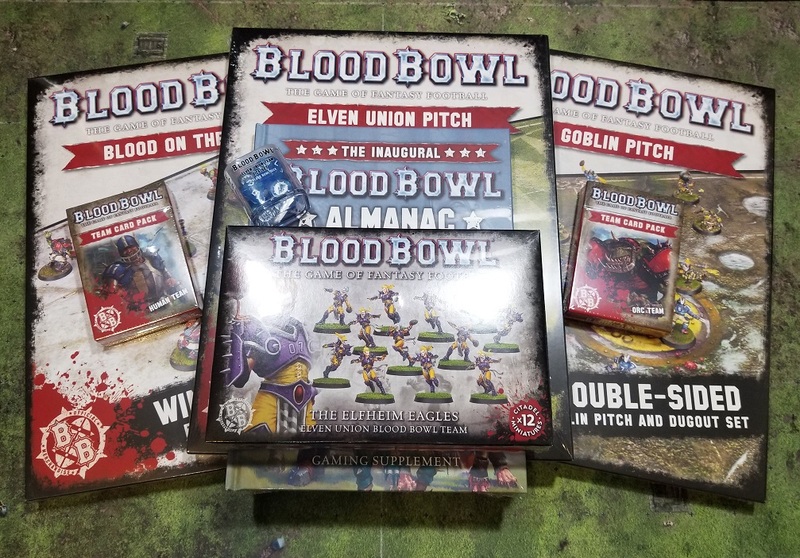 Welcome back to another riveting installment of December 2017 Blood Bowl releases! Last time we took a look at all three pitches that have been released this month. 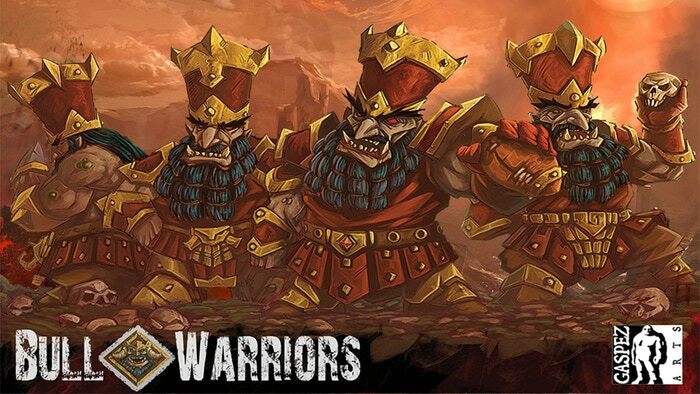 Today we focus on the new Human, Orc, and Elven Union Team Card Packs. 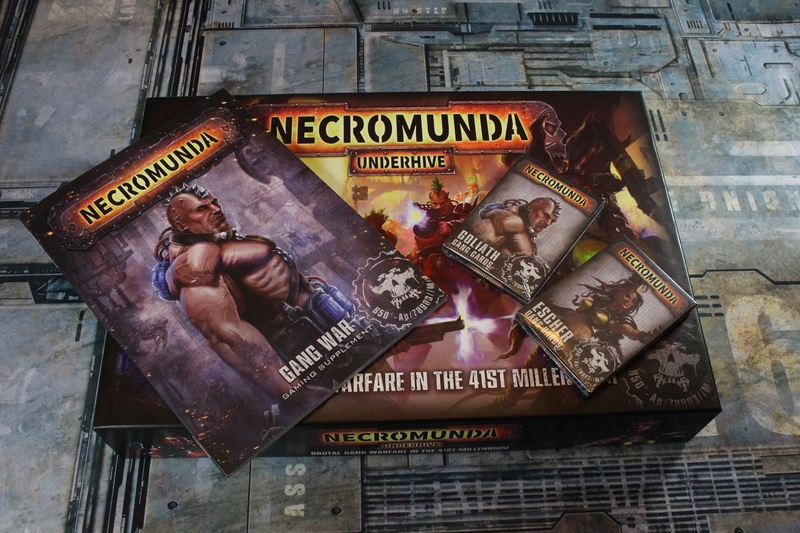 These new Team Card Packs are a little bit of a departure from previous Blood Bowl card decks that we have seen. Previous decks have contained only additional Special Play cards, but the new Team Card Packs include quite a bit more.